Skid Crease | Ontario Nature IS Nature! Skid Crease | Ontario Nature IS Nature! The Ninth Annual Ontario Nature Youth Summit for Biodiversity and Environmental Leadership took place this past weekend – September 21 – 23, 2018 – at the beautiful Geneva Park YMCA Centre on Lake Couchiching near Rama. The event was attended by over one hundred Ontario senior high school students from Kaministiquia in the far north west of Ontario to Amherstburg in the deep south, to Vankleek Hill in the east – a network of enthusiastic, informed, engaged youth who are about to speak truth to power. It has been my honour, since the inception of this event at the YMCA Cedar Glen in York Region in 2010, to guide workshops and mentor young minds at this inspirational Ontario Nature event. This year’s participants represented the cultural and social diversity of youth in Ontario and they were treated to a full weekend of experiential education. Renowned outdoor educators, naturalists, Ontario Nature science technicians, Conservation Authority educators, Youth Council members and alumni, Wild Ontario volunteers, Students on Ice polar alumni, and First Nations Elders took the participants on journeys from freshwater ecosystems to climate change to community action. We journeyed from the secret life of salamanders to survival skills, from protecting pollinators with legislation to protecting people with the healing medicine found in wild plants. The first evening, the Scales Nature Park staff hooked the participants with an interactive presentation of Ontario’s reptiles featuring unique species like the wood turtle and the hog-nose snake. The audience very quickly showed that they wanted to get up close and personal with this fascinating wildlife. Word for the week: ectotherm! When we stopped at a limestone outcrop and gazed over Lake Couchiching, one young person summed it up with these simple words: “This is beautiful.” That is the beginning of environmental literacy. The awareness of the beauty and mystery in the world around us is what creates love and respect for the natural world. And what we love we protect and nurture. A mentor in my life once told me, “We never save anything by moaning and groaning about it once it’s gone. We save things by celebrating the beauty of their existence while we still have them.” From awareness grows wonder, wonder feeds knowledge, and from knowledge flows action. Over the past nine years, Ontario Nature has now guided close to a thousand students through this learning cycle. The Summit not only inspires the greening of personal lifestyles, it also achieved provincial success when the Youth Council lobbied for provincial policy that protects pollinators through the banning of neonicotinoid pesticides. It further connects children to the history of our land, with opening greetings by Glenda Snache from the Chippewas of Rama First Nations on whose ancestral lands Geneva Park now stands. Theresa Harrigan of Rama and Kerry-Ann Charles from the Chippewas of Georgina Island guided participants through an understanding of the traditional clan systems of our First Nations. Then there were stories around the campfire told by Elder Garry Sault from the Mississaugas of the New Credit – the youth will never again look at a turkey vulture or the west wind the same way! Next year, 2019, will mark the Tenth Anniversary of the Ontario Nature Youth Summit for Biodiversity and Environmental Leadership – that will carry the next group of youth leaders into the tipping point year of 2020. 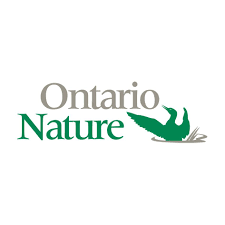 If you aren’t already a supporter of Ontario Nature and its programs, this is the time to join the team. Over the next four years, we will need all the support we can get! This entry was posted in Education, Environment by Skid. Bookmark the permalink.